Yale researchers have developed a new semiconductor laser that could advance imaging quality across a broad range of applications. Designed around chaotic cavity laser activity, the device eliminates image corruption. It provides the brightness of traditional lasers and the low image corruption of light-emitting diodes, which could enable next-generation microscopes, photolithography, and biomedical imaging. Though the field of biomedical imaging has several cutting-edge technologies that benefit society, limitations do exist. Certain classes of imaging depend on lasers for the powerful beams of light they provide. Unfortunately, while being very high energy, images can be distorted by these traditional lasers under certain circumstances. This phenomenon is known as speckle, which can lead to random, grainy patterns. One way of avoiding this is to use light emitting diodes (LEDs) as a source of illumination. Historically, however, LEDs have not had the power needed to perform many biomedical imaging applications, particularly when high-speed imaging is required. A new device from Yale University researchers may now eliminate these issues, according to a recent article from Yale News. The new semiconductor laser is an electrically pumped device that provides intense light emission with low spatial coherence. 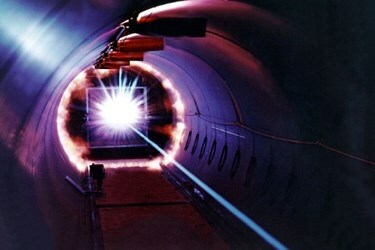 Traditional lasers generally exhibit high spatial coherence, and, consequently, they generate the speckle distortion that interferes with image formation. The search for an ideal light source to power the next generation of high-speed, full-field imaging applications has been intense, according to a recent study published by the team in the Proceedings of the National Academy of Sciences. To successfully achieve this kind of imaging, several challenging requirements must be met. In the area of biomedical imaging, laser speckle has been a major barrier for many classes of light-based clinical diagnostics. Speckle-free lasers may enable new technologies to be developed that could be beneficial in healthcare. High-speed imaging has become a major focus for certain aspects of optogenetics and imaging in deep tissues. Recently, a high-speed camera was developed that can capture 100 billion frames per second, which could be applied to several diagnostic applications.